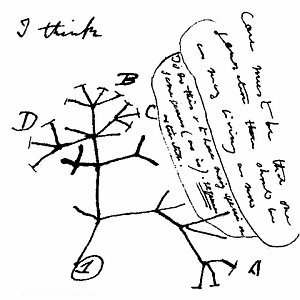 The book "On the Origin of Species" by Charles Darwin in 1859 contained a diagram of a Tree of Life where lines at various angles suggested that some species had diverged from one or more common ancestors. The idea of evolution was controversial in Darwin's time, but it has been firmly established through analysis of DNA and RNA, which are the molecules that specify the genetic characteristics of all living organisms. 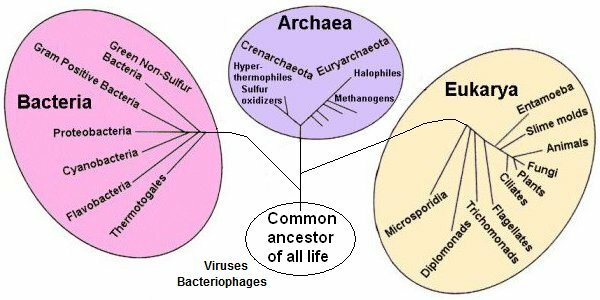 The three main domains of the Tree of Life are Bacteria, Archaea, and Eukarya. Bacteria are microscopic organisms that have shapes ranging from spheres to rods and spirals. Bacteria were the first life forms to appear on Earth, and are present in most of its habitats. Archaea were initially classified as bacteria because they are also single-celled microorganisms which are prokaryotes, meaning they have no cell nucleus or any other membrane-bound organelles in their cells. However, genetic analysis of their RNA showed that they differ significantly from bacteria. Eukarya are organisms that have cells with a nucleus, or nuclear envelope, within which the genetic material is contained. Prokaryotes are single-celled organisms and lack a membrane-bound nucleus, mitochondria, or any other membrane-bound organelles. Viruses and bacteriophages are composed of proteins that encapsulate a DNA or RNA genome. Viroids consist of a short sequences of single-stranded RNA. These infectious agents replicate only inside the living cells of other organisms and are not included in the Tree of Life. Viruses and bacteriophages do not have the ability to reproduce independently. They may be descendants of the diverse chemical entities that developed in the primordial soup that gave rise to the most recent common ancestor of all current life on Earth. The following video demonstrates how bacteria develop antibiotic resistance within a period of eleven days by adapting to increasing levels of antibiotics. 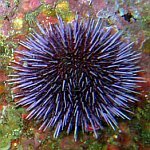 Biologists group living organisms into five kingdoms: the Monera, the Protista, Fungi, Plants, and Animals. The Monera includes all prokaryotes which are the most ancient forms of life (Archaea and Bacteria) and were the only organisms on Earth from around 3.5 to 1.5 billion years ago. 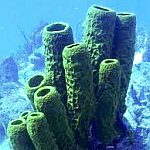 The Protista is a group of single-celled eukaryotes that gave rise to the other three kingdoms: the multicellular fungi, plants, and animals. A hierarchical system of classification was introduced by Carl Linnaeus in the 18th century. 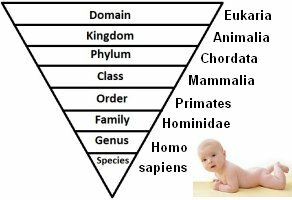 The system of taxonomy continues to be refined as our knowledge of biology expands. Kingdoms are divided into categories called phyla, each phylum is divided into classes, each class into orders, each order into families, each family into genera, and each genus into species. A species represents one type of organism which is identified by its genus and species name, such as Homo sapiens (modern humans). This formal system of naming organisms with a name composed of two parts, both of which use Latin grammatical forms is called binomial nomenclature. 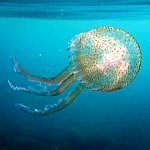 Animals, also called Metazoans, are eukaryotic organisms with a body composed of cells differentiated into tissues and organs; their digestive cavity is usually lined with specialized cells. The animal kingdom is categorized into several phyla based on the physical characteristics of the organisms, as illustrated below. 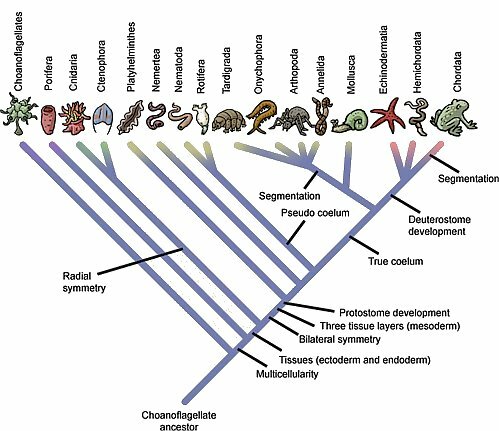 Major phyla of the Animal kingdom. Woese CR, Kandler O, Wheelis ML (1990). "Towards a natural system of organisms: proposal for the domains Archaea, Bacteria, and Eucarya". Proceedings of the National Academy of Sciences of the United States of America 87 (12): 4576–9.